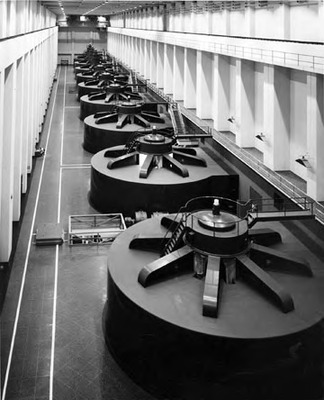 Generators in power house, Grand Coulee Dam. USBR Print CB12121. Approximate date.